A number of patent claims made recently by a competitor are based on work that I published in the open literature many years ago. The patents were awarded to a company that did not exist at the time of those publications, with which I have never had any contractual relationship, and which has never produced any evidence of understanding or competence in any of these processing areas. Since all these technologies are in the public domain, they cannot ethically be patented by anyone, even by myself. The proof of my priority is spelled out in considerable detail in the following publications. All claims to patents based on this work are fraudulent. Most of the other claims in that patent cover standard art and practice in the aerospace industry and are equally invalid. Caveat emptor. 69. J.S. Lewis and S. Nozette, Extraction and Purification of Iron-Group and Precious Metals from Asteroidal Feedstocks. Adv. Astronaut. Sci. 53, 351 (1983). 71. J.S. Lewis, and C. Meinel, Asteroid Mining and Space Bunkers. Defense Science 2001+, 2, No. 3, 33-67 (1983). 77. J.S. Lewis and C.P. Meinel, Carbonyls: Shortcut from Extraterrestrial Ores to Finished Products. In: Lunar Bases and Space Activities in the 21st Century. NASA Johnson Space Center, 126 (1984). 80. J.S. Lewis and R.A. Lewis, Space Resources: Breaking the Bonds of Earth. 407 pp. Columbia University Press (1987). 83. J.S. Lewis, Summary of the Conference: Extraterrestrial Resources. In: Space Manufacturing 6, AIAA, Washington, D.C., 18 (l987). 87. J.S. Lewis, T.D. Jones and W.H. Farrand, Carbonyl Extraction of Lunar and Asteroidal Metals. In: Engineering, Construction and Operations in Space (S.W. Johnson and J.P. Wetzel, eds. ), Amer. Soc. Civil Engineers, N.Y., 111 (1988). 89. J.S. Lewis, Summary of the Conference: Non-terrestrial Resources. In: Space Manufacturing 7, 5-10 (1989). 93. J.S. Lewis, Lunar, Martian and Asteroidal Resources: Programmatic Considerations. In: Proceedings of the 1989 Annual Invitational Symposium on Space Mining and Manufacturing, UA/NASA Space Engineering Research Center, 1-10 (1990). 96. J.S. Lewis, K. Ramohalli and T. Triffet, Extraterrestrial Resource Utilization for Economy in Space Missions. International Astronautical Federation, IAA 90-604 (1990). 98. J.S. Lewis, Extraterrestrial Sources of 3He for Fusion Power. Space Power 10 363-372 (1991). 100. J.S. Lewis, Non-Terrestrial Resources of Economic Importance to Earth. International Astronautical Federation IAA 91-656, (1991). 102. J.S. Lewis, Summary of the Conference: Non-terrestrial Resources. In: Space Manufacturing 8, 19-22 (1991). 103. J.S. Lewis, Construction Materials for an SPS Constellation in Highly Eccentric Earth Orbit. Space Power 10, 353-362 (1991). 104. J.S. Lewis, Asteroid Resources. In: Space Resources, Vol. 3: Materials, M.F. McKay, D.S. McKay and M.B. Duke, eds. NASA SP-509, 59-78 (1992). 107. J.S. Lewis, Processing Non-Terrestrial Materials. SME Trans. 294, 1864-1868 (1993). 110. J.S. Lewis, M.S. Matthews and M. Guerrieri, eds., Resources of Near-Earth Space, Univ. of Arizona Press, Tucson. 977 pp. (1993). 111. J.S. Lewis, D.S. McKay and B.C. Clark, Using Resources from Near-Earth Space. In: Resources of Near-Earth Space (J.S. Lewis, M.S. Matthews and M. Guerrieri, eds. ), Univ. of Arizona Press, Tucson. 3-14 (1993). 112. J.S. Lewis and M.L. Hutson, Asteroidal Resource Opportunities Suggested by Meteorite Data. In: Resources of Near-Earth Space (J.S. Lewis, M.S. Matthews and M. Guerrieri, eds. ), Univ. of Arizona Press, Tucson. 523-542 (1993). 115. J.S. Lewis, The Platinum Apples of the Asteroids, Nature 372, 499 (1994). 116. J.S. Lewis, Planetary Resources for Extraterrestrial Technology. Quart. J. Roy. Astron. Soc. 36, 445-448 (1995). 119. J.S. Lewis, Banquet Address: The Solar System's Greatest Resource. In: Space Manufacturing 10, AIAA, Washington D. C., 31-36 (1995). 121. 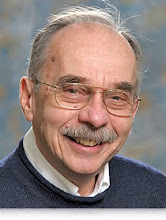 J. S. Kargel, M.D. Kraft, D. J. Roddy, J. H. Wittke and J. S. Lewis, Impactite melt fragments at Meteor Crater, Arizona: EOS Transactions of the American Geophysical Union 76, p. F337 (1995). 122. J.S. Kargel, P. Coffin, M. Krafft, J.S. Lewis, D.J. Roddy E. M. Shoemaker and J.H. Wittke, Systematic Collection and Analysis of Meteoritic Materials from Meteor Crater, Arizona. Lunar and Planetary Conference XXVII, 645-646 (1996). 124. K. Ramohalli and J.S. Lewis, A Survey of Technology Advances in In-Situ Resource Utilization for Economical Space Missions. Submitted (1996). 125. J.S. Lewis, Mining the Sky: Untold Riches from the Asteroids, Comets, and Planets, Addison-Wesley, Reading, MA. 274 pp. (1996). 127. J.S. Lewis, Resources of the Asteroids, J. Brit. Interplanetary Soc. 50, 51-58 (1997). 131. J.S. Lewis, Mining the Sky: Untold Riches from the Asteroids, Comets, and Planets. Revised Edition, Addison-Wesley, Reading, MA, 274 pp. (1997). 133. J.S. Lewis, Summary of the Conference Sessions: Asteroids and Nonterrestrial Materials. In: Space Manufacturing 11, AIAA, Washington D. C., 19-20 (1997). 135. K. Ramohalli, T. Triffet, J.S. Lewis, and A. Cutler, Material Processing Requirements for a Lunar-Based Laboratory. In: A Lunar-Based Analytical Laboratory, Cyril Ponnamperuma Memorial Volume, A. Deepak Publishing, Hampton, VA (1997). 141. J.S. Lewis, Mining the Sky: Resources of Asteroids. In: Elements of Change 1998, S.J. Hassol and J. Katzenberger, eds., Aspen Global Change Institute, 107-110 (1998). 143. J.S. Lewis, Tapping the Waters of Space. Scientific American Presents: The Future of Space Exploration, 100-103 (1999). 148. J.S. Lewis, Asteroid Resources, Exploitation, and Property and Mineral Rights. In: The High Frontier. 20th Anniversary Edition, Space Studies Institute, pp. 137-149 (2000). 155. J.S. Lewis, Space Resources, Occurrence and Uses. In: Encyclopedia of Space Science and Technology, H. Mark, M. Silvera, M. I. Yarymovych and M. Salkin, eds., 598-631 J. Wiley Interscience (2004). 157. J.S. Lewis and C.F. Lewis, A Proposed International Legal Regime for the Era of Private Commercial Utilization of Space. The George Washington International Law Review 37, 745-767 (2005). 159. J.S. Lewis, Chemical Diversity and Abundances across the Solar System. In: Chemical Evolution across Space and Time. L. Zaikowski and J. M. Friedrich, eds., American Chemical Society Symposium Series 981, 130-140 (2007). 160. J.S. Lewis, Building the Moon Base: Living off the Land. In: Space Science, Environmental Ethics, and Policy, in press (available as conference video) (2008). 162. J.S. Lewis, Asteroid Mining 101, DSI Press, 184 pp. (2014). 163. M. Sonter, S. Covey, J. S Lewis, and A. Rao, Mineral Resource Estimation for Asteroid Mining Projects. Lunar and Planetary Science 45 (2014). 164. S.D. Covey, J.S. Lewis, P.T. Metzger, D. T. Britt and S. E. Wiggins, Simulating the Surface Morphology of a Carbonaceous Chondrite Asteroid. ASCE Earth-Space 3 (2016). 165. P.T. Metzger, D.T. Britt, S.D. Covey, and J.S. Lewis, Results of the 2015 Workshop on Asteroid Simulants. (2016).